The Six Nations is with us again. As Wales try for a record breaking 3 successive Six Nations Titles in a row the Juboraj in Mill Lane and Cardiff Bay are getting ready for some of their busiest nights! 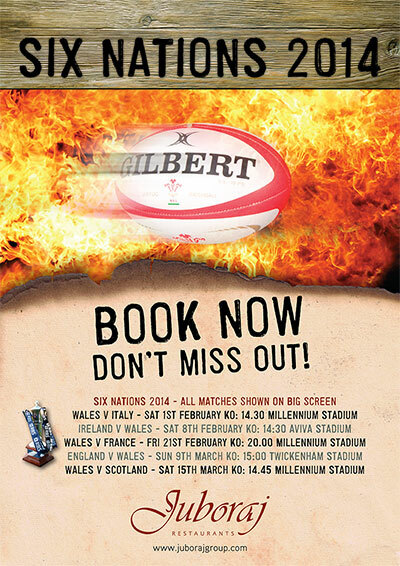 Mill Lane is only a rugby ball’s throw from the Millennium Stadium so be sure to book in advance as we are always full when there’s a home match. It’s our first year in Big Windsor Cardiff Bay but we suspect it will be the same there.